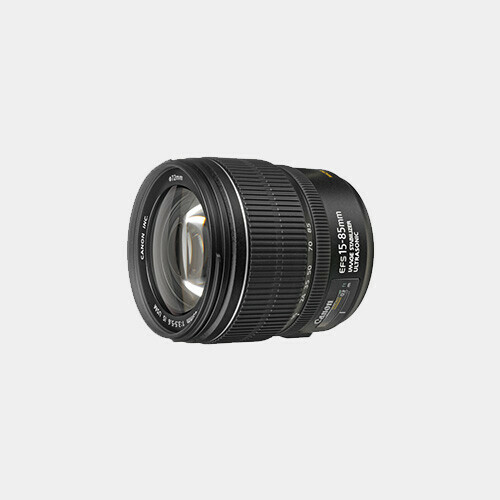 The Canon EF-S 15-85mm f/3.5-5.6 IS USM Lens offers a 35mm equivalency of 24-135mm when used with a Canon APS-C EOS Digital SLR. Measuring just under 4" in length and weighing about 1.25 lbs, the lens boasts a convenient wide angle to telephoto focal length in an easy to carry form factor. 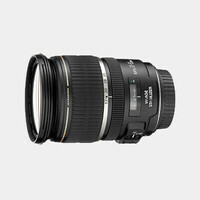 Containing 17 elements (including a UD-glass element) in 12 groups, the lens captures an angle-of-view (AOV) range of about 84° to 18°, for capturing wide landscapes and telephoto portraits. The lens features a minimum focusing distance of 1.15' and image stabilization for up to 4-stops of shake-control when shooting under lower lighting conditions. An Ultra Sonic Motor (USM) offers fast, quiet autofocus performance. Note: This lens is only compatible with Canon EF-S cameras.